This cap does have a bow tie in the center and is metal. We cannot guarantee fitment of our cap to third party wheels. For additional questions regarding these wheels and/or caps, please contact us at 1-800-251-6336, or support@coker.com. 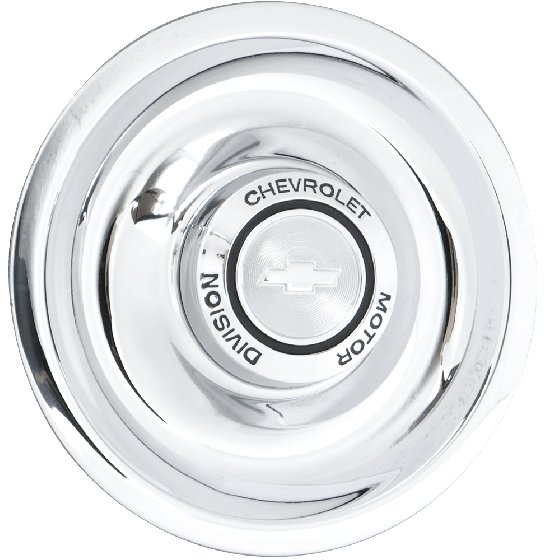 Does this center cap securely fit on the chrome pickup rallye wheels? Correct. 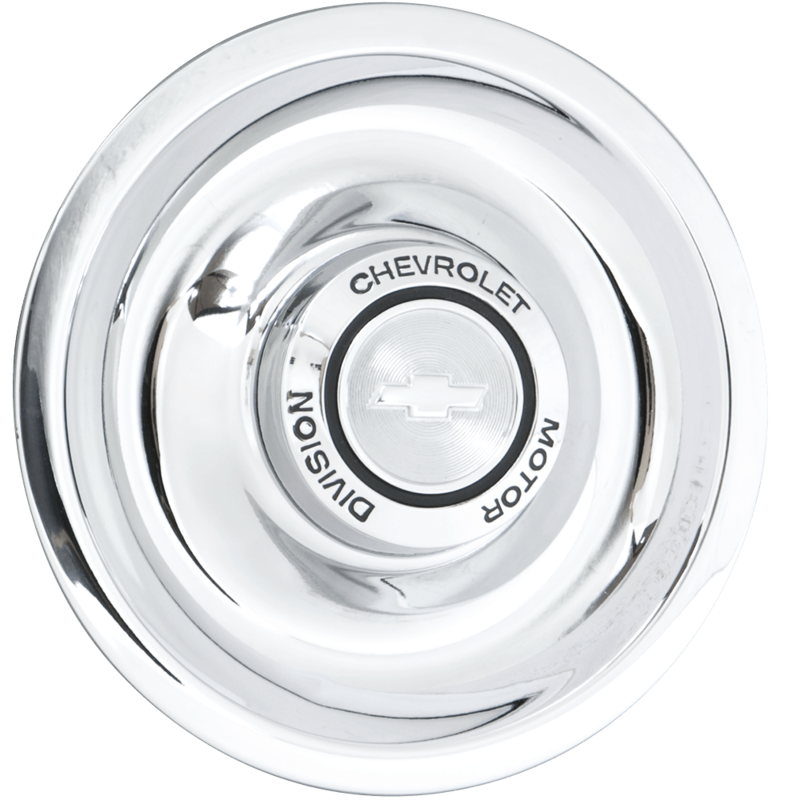 Our 7" caps are designed to work with the Chevy / Pickup Rallye wheels.